Anything is possible in Russia. 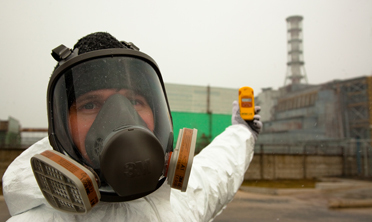 Scott and Justin meet up with their friend Bogdan and visit the last man living in the radioactive zone in Chernobyl. They visit St. Petersburg for some homemade vodka and to celebrate Bogdan’s birthday, before hopping on an overnight train to Moscow. The adventures in Moscow are diverse: An awkward visit to a Russian bath, a wild night out in an exhilarating dance club and a chance to drive a cold-war military tank. Next, they fly to Siberia and meet a vodka-slamming shaman, who puts them all to shame on the dance floor. The guys head northeast into Siberia to reach the coldest inhabited place on earth: the Pole of Cold. Along the way, the word of Scott and Justin’s journey travels and they become local news celebrities. They visit a permanent circus, take part in the Festival of Cold, answer questions at local press conferences and end up judging a quirky beauty contest in Yakutsk. Riding reindeer for the rest of the trek, they camp in the snow before hitting the Pole of Cold. Travelling to Sri Lanka at the tail end of the 25-year civil war, the guys expect to visit a war-torn country, yet discover a different land. 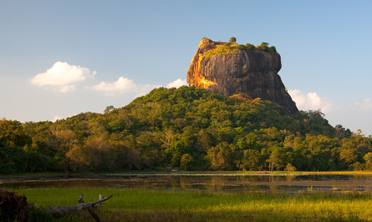 From exploring the wonders of Sigiriya, an ancient rock fortress and palace ruin, to visiting Sri Lanka’s indigenous inhabitants, the Veddas tribe, and joining the pilgrimage up Adam’s Peak, the guys experience a beautiful and culturally rich country. They get to Sri Lanka’s capital city, Colombo, just in time to see the Navam Perahera – a spectacular parade made up of thousands of dancers and acrobats, and over a hundred decorated elephants. Scott and Justin catch up with their high school friend Fran, who is travelling to Vietnam to explore his motherland and family history for the first time. They travel south to north, through the commotion of Ho Chi Minh City and the Mekong River floating markets, and experiencing haunting remnants of the Vietnam war and visiting magical and mysterious temples and caves along the way. 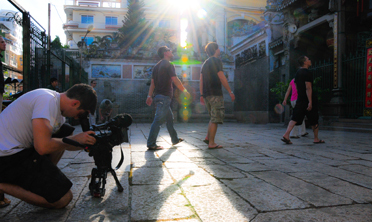 Further north, surrounded by the beauty of Halong Bay, the guys realize that spending time with Fran’s family, and seeing the country through his eyes, has given them a fresh perspective on travel. One of the most fascinating places on earth, and one of the most dangerous, Papua New Guinea is a rough and mostly unexplored country. The guys meet up with their friend Nick on the island of East New Britain, where they visit the lava-buried city of Rabaul, and climb up, and into, an active volcano. Next they explore the island and local dive sites for abandoned World War II relics. Making their way through some thick jungle, they spend a night in a remote family village on their way to a spectacular fire-dancing tribe. Leaving the islands, the guys head into mainland PNG and drive up into the rugged Highlands with their friend Nick. They travel through Goroka, where they take part in an embarrassing Mudmen dance ritual involving bows, arrows and loincloths. They prepare for an epic journey: A private flight north to a remote grass airstrip, where they have three days to make their way down the extremely remote Sepik River and try to become true men of the Sepik. The guys’ adventure begins by zip lining across jungle canopy, rappelling down waterfalls and bungee jumping off a city bridge. 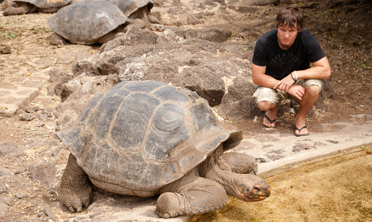 They dive with sharks off the Galapagos Islands, and realize the human impact on animals there. On the mainland, they stumble upon the Intiraymi festival, where celebrations are contrasted by near-riots between conflicting tribes. 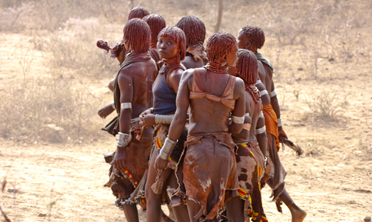 Next, they venture into the Amazon to find the Hourani tribe, and arrive the day of the Chief’s father’s funeral. Attending the ceremony, they learn how the tribes are fighting to keep their traditions alive and protect their land. Scott and Justin explore the spiritual side of Ethiopia. In Lalibella, they visit ancient churches carved entirely out of stone, and Justin tries teaching a class of school children some new words. They visit the castles in Gondor and the Church of Saint Mary of Zion, which claims to house the lost Ark of the Covenant. At the Debra Damos monastery, accessible only by climbing a rope up a sheer cliff, they share some difficult but hilarious conversation with a well-spirited monk, who has some poignant things to say about brotherhood and human origins. Scott and Justin meet up with Robel, who takes the guys to visit his sisters in his village of Harar. They visit the bustling chat market, and learn how to prepare the traditional stimulant. That night, Robel takes them to feed some wild hyenas by hand. Leaving Harar, they take a long drive to visit the Hammer Tribe. Here they witness a rare ceremony in which the women of the village offer themselves to be whipped, and one soon-to-be married man has to run, stark naked over a dozen bulls, to prove his worth as a husband. Rwanda is a country emerging from its darkest years of poaching and the 1994 genocide. 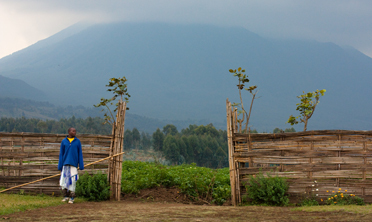 Scott and Justin travel with locals to learn more about how Rwanda is managing today. They explore the recovery of the animal population – from swimming cows on Napoleon Island to trekking into the wild to visit isolated groups of mountain gorillas. This experience is contrasted with a visit to the church of Ntarama to talk to a genocide survivor, and a court tribunal of several accused men. The guys hear stories of forgiveness from the people, and learn of their hope for their country. 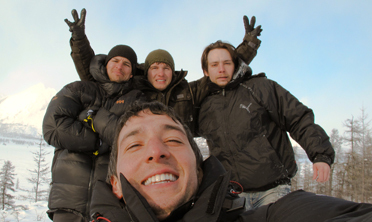 The guys arrive in the arctic destination at the beginning of winter. With only six hours of sunlight a day, they experience an entirely different type of adventure. 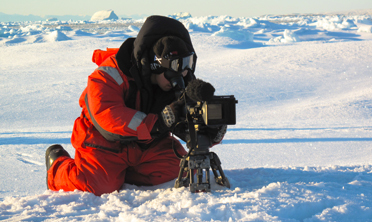 Arriving by helicopter into the town of Ittoqqortoormiit, they take part in a seal hunt, and learn of the many ways people survive in this harsh arctic climate. With some basic training under their belt, the team heads off on a three-day trek to the abandoned ghost town of Cape Hope, where weather and extreme conditions pushes everyone’s utmost limits. Scott and Justin are prepared for perhaps their greatest adventure to date, providing them with a rare glimpse inside the borders of this isolated country. From Beijing, they depart to Pyongyang with an Englishman named Nick – an outsider with unprecedented access to the country. Meeting up with their local guides, Chae and Kim, the team visits many historical and political sights, learning the local perspective on world events, and gaining a much greater understanding of the country. An evening cruise down the Taedong River begins to cement a solid friendship between the guys and their guides. North Koreans are a fiercely proud and creative people. North Korea continues to completely defy all expectations, as Scott and Justin take part in a high school English class, are pulled into numerous musical performances, visit a water bottling factory, a farm and an old funfair. 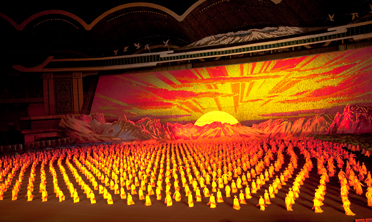 Their experiences are capped off by the largest and most impressive choreographed spectacle on earth – the Arirang Mass Games – where 100,000 people perform the ultimate homage to their country and ideologies. 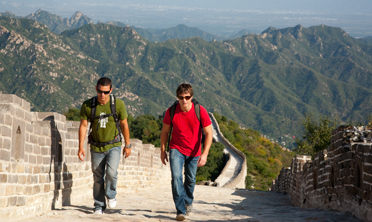 The guys are sad to leave their trusted guides and friends behind when they depart by train back to Beijing. 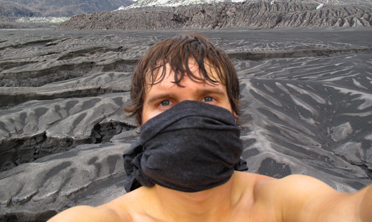 The trip begins on the caldera of Mount Bromo - an active, yet serene volcano in the middle of the island of Java. With their l`ocal friend Oka, they continue to the slums of Jakarta, meeting with a young boy and his family, and participating in daily activities to learn of the many hardships facing the locals. 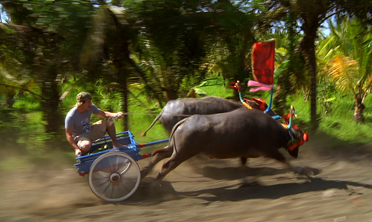 Heading to the island paradise of Bali, they take part in an explosive, traditional bull race. Scott gets “dirty” while Oka loses his chariot altogether. The trip winds down when they meet a Balinesian Prince, and join his party as guests of honour. For three years, Scott and Justin have travelled the globe, experiencing so many people’s homes, while getting further away from their own. In their friend Oka’s home island of Bali, the guys witness both spiritual and illegal aspects of Balinesian life - grand temples, noisy bird markets and betting on underground cricket fights. They then travel back in time to the island of Sumba, staying overnight with a tribe who live in close harmony with nature and their ancestors. 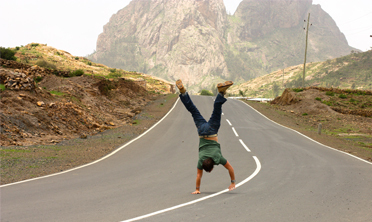 While Justin ponders returning home, Scott realizes that after three years on the road, there are more similarities between people and cultures than differences. From the southern coast of Adelaide, all the way to Darwin, the guys take on another road trip - this time with their own purchased 4x4 to get them through the perilous, dusty outback. Fighting constant breakdowns, they reach the underground town of Coober Pedy, where they search for opal with the help of an explosives “expert”. 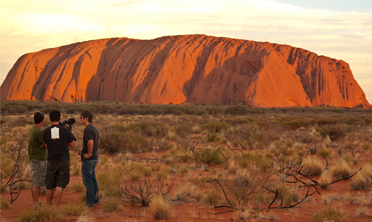 The crew travel from Uluru, staying on a working ranch, before tackling the ultimate offroad adventure through searing sand to remote Boggy Hole. Pushing on through a sudden rainstorm in the north, to the last miles to Darwin, Scott, Justin, and Andre have now travelled to all seven continents. What’s next?